Six strong and easy to open tabs, each with a colourful nativity character, reveal six simply worded pages to help your preschoolers listen, love and learn the story of the world’s best known family. The Christmas Story by Christina Goodings uses simple words and strong clear pictures to retell the nativity story for very young and pre-school age children. In six bedtime-lengths episodes and one story on each page, the cheerful straightforward words and pictures will help very young children to love and remember this important story. With stick-out tabs on every page, this robust little board book is designed to help under 4s find their favourite part of the Christmas story for themselves - whether they love to hear about Mary and the Angel, No Room at the Inn, Shepherds and Angels, The Baby in the Manger, The Wise Men and their Gifts or The Long Way Home this touch and feel book will become an early-reader’s favourite. And there are many other delightful features for little hands to enjoy in this first telling of the Christmas story. Different textures and patterns feature on the pictures of people's clothing, of the shapes on the roads, of the leaves of the trees and the walls of the houses making this book a joy to open again and again. 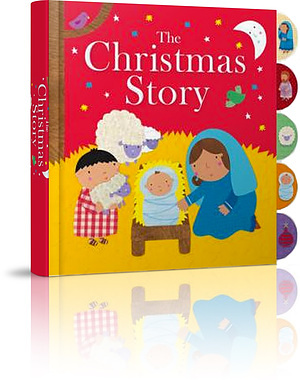 This is an unusual and delightful addition to any child’s early library of first story books, and a memorable introduction to the meaning of Christmas and all of the wonderful stories of the Bible. The Christmas Story by Christina Goodings; Maria Maddocks was published by Lion Hudson in September 2013 and is our 18144th best seller. The ISBN for The Christmas Story is 9780745963808. 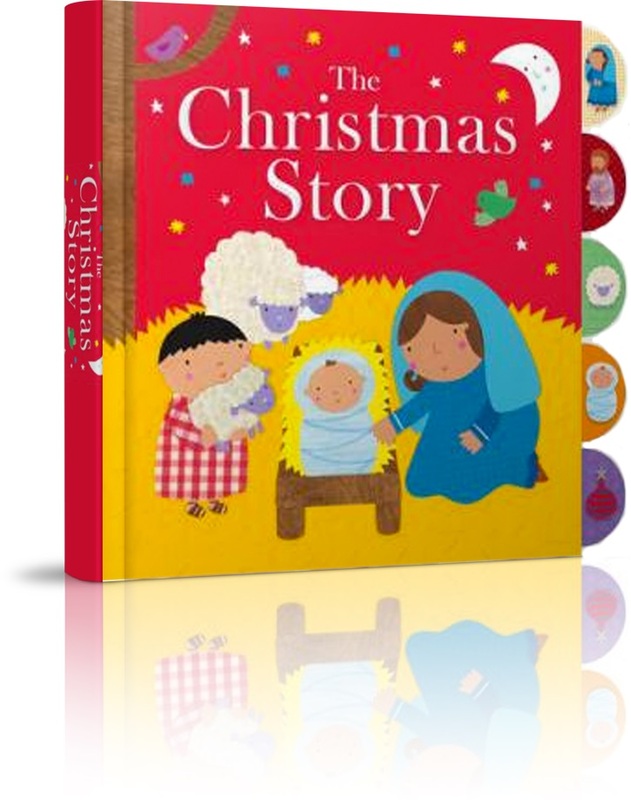 I love touchy feely books and this new hardback tabbed board book of the Christmas story is very definitely touchy feely! From the front cover and all the way through to the back cover. Rough, ribbed bits, different patterns on different people's clothing, raised bumps and lumps and shapes on the roads, the trees and the houses just make this book a joy to hold and stroke and feel for any child (or adult) and would be brilliant with any person for whom sensory imput is a boon. There are six stories in the book, each one moved onto by the great picture tab at the side, and they cover the Christmas story from the Annunciation (Mary and The Angel) right through to the escape to Egypt (The Long Way Home). They are fun and engaging just as the pages are. A brilliant addition to the Christmas books out there and one definitely for those for whom touch is a special delight. The Nativity story is retold for very young children in 6 episodes, one to each page. Illustrated with cheerful, cartoony little pictures and with embossing and a tab on every page, this board book is designed to help very young children engage with this important story.